You NEED This 'Slounge Set!' By Gym Shark. HVW8 Gallery and Bernie Sanders 2016 Present “The Art of a Political Revolution”featuring both artists and musicians to inspire change throughout the nation. HVW8 Gallery and Bernie Sanders 2016 have united to launch a national group art exhibition which will open and kick off in the heart of West Hollywood focused around critical issues affecting our country. 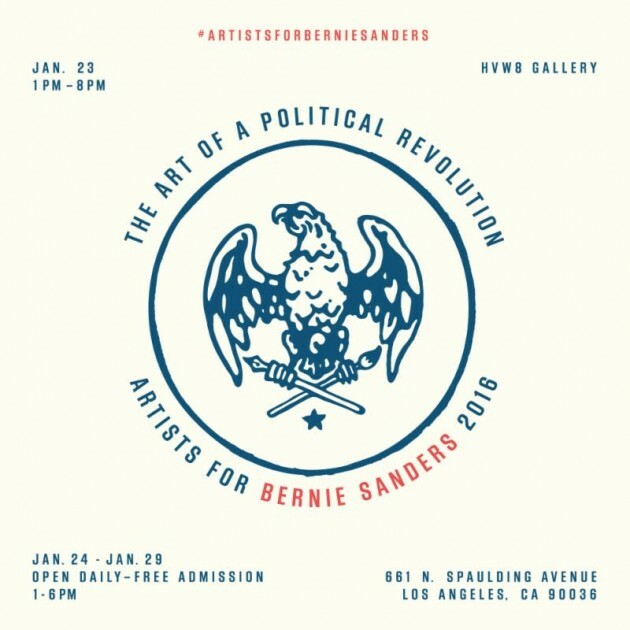 HVW8 Gallery located at 661 N. Spaulding Avenue, Los Angeles, CA 90036 will launch “The Art of the Political Revolution” in conjunction with the official Bernie Sanders 2016 campaign on Saturday, January 23 with an opening reception from 1:00pm – 8:00pm. Participating artists include: Aaron Draplin, Amanda Marsalis, Atiba Jefferson, Brian Lotti, Bryan Blue, Byron O’Neill, Charlie Becker, Claw Money, Cody Hudson, Dan Buller, Dave Kloc, Donny Miller, Dug Nap, Dylan Fant, Ellen Voorheis, Erin Garcia, Greg Auerbach, Hayley Starr, Heidi Hartwig, Jackson Tupper, Jamal Gunn Becker, Jeremyville, Jermaine Rogers, Josh Maupin, Kozyndan, Michael Vincent Laviolette, Mtendere Mandowa ‘Teebs’, Nathan Bell, Patrick Martinez, Richard J. Oliver, Ron English, Saelee Oh, Shepard Fairey, Sven Barth, Tyler Gibney, Zoetica Ebb.